I've spent most of today learning how to do screencasts on my laptop. A screencast is a short recording of a computer's screen, generally made to explain how to do something. 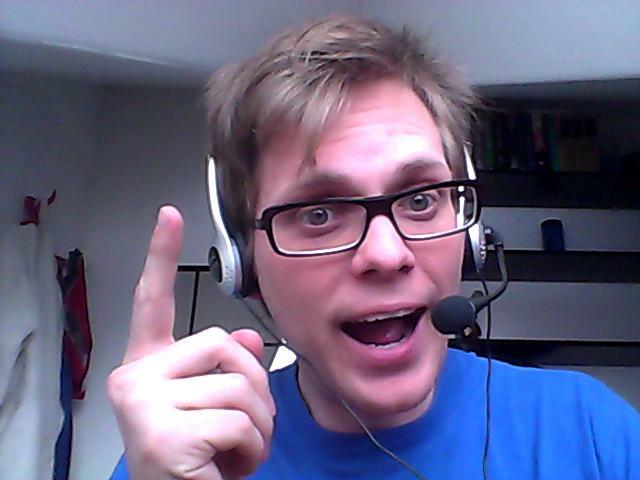 We want to show everyone how awesome PageKite is, so I have to learn how to make screencasts. Fittingly enough, I found a screencast demonstrating how to make screencasts on Youtube. After watching it just long enough to discover the name of the software I needed, I turned it off: I needed a program named Desktop Recorder (actually, recordmydesktop). That pretty much does what it says on the tin: you run it, and it makes a video of all the activity on your screen. It will also record audio, allowing you to talk about all the clever things you are doing. Perfect! Next up, was deciding what to put on the screen. I figured it would be easier to just run programs with the elements I wanted present than it would be to learn how to do enough video editing to combine many things into one video. So I set out to put everything I wanted on the screen. Now all I needed to do was maximize a terminal, maximize a browser and decide what to demonstrate. So I made something up and created my first screencast! Then I created my second one, and my third, and my fourth... and deleted them all. After about 50 tries, I ended up with a .ogv file that I was reasonably happy with. But I'm probably going to end up deleting it too. The only thing I was really unhappy with in the screencast, aside from the fact that my hair was kinda dirty, was the amount of hissing background noise in the audio track. So I went and took a bath, and then figured out how to use sox and ffmpeg to reduce background noise. Finally, I wasted a fair bit of time figuring out how to add the Benny Hill theme as a background soundtrack.